Viruses and other malware that are distributed within USB drives could be very dangerous. However, they are also quite popular. In order to avoid these kinds of threats, ESET developed DriveSecurity powered by ESET and Kingston DataTraveler Vault Privacy 3.0 with DriveSecurity powered by ESET. ESET antivirus application to secure and protect your external portable hard drives and USB flash drives. ESET established DriveSecurity in order to help you to protect your Windows and Mac computers and everyone who uses them. ESET DriveSecurity protects your external portable hard drives and USB flash drives from malware and other malicious software that are commonly transmitted by USB drives. 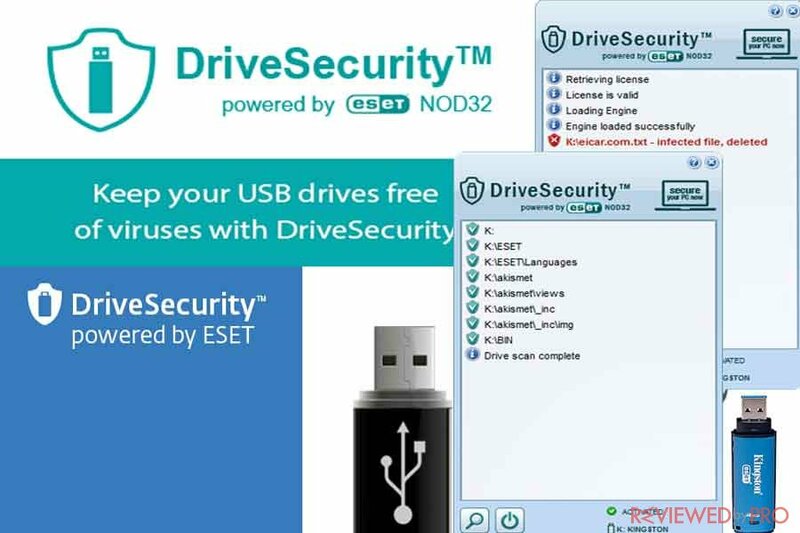 DriveSecurity powered by ESET uses the award-winning, efficient antivirus engine from ESET NOD32. It looks for and eliminates a range of viruses, spyware, Trojans, worms, rootkits, adware and other cyber threats before they infect your portable devices. It is very important to secure your external portable hard drives and USB flash drives in order to be sure that any programs and files you move to your USB drive are malware-free and safe to share with others. DriveSecurity is operated from your USB drive, so it is easy and does not require any installation to maximize your convenience. 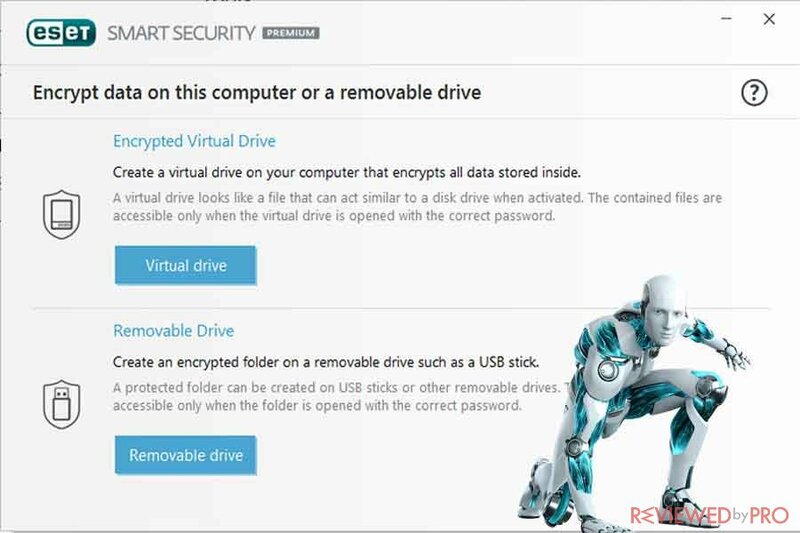 Using ESET DriveSecurity you ensure the security and safety of files stored in your USB stick. So you can safely share your files, including pictures, music, videos with your friends, family, and colleagues. ESET DriveSecurity also ensures the safety when using public or shared devices, so you know that your drive and private data on it is protected and secured from any attempt to install spyware or other threats. ESET DriveSecurity also protects you from any threats while transferring data among computers, devices, and users. You are ensured that protected USB drives will not get infected or pick any malicious programs. Using ESET DriveSecurity you can print or share photos or files using any public kiosk. If someone has installed malicious programs that want to steal or destroy information, DriveSecurity will keep your devices secured and protected. ESET antivirus application to secure and protect your USB drive DriveSecurity Powered by ESET. And Free support from ESET. Includes 5-years of pre-paid DriverSecurity License. When it comes to cybersecurity, protecting your USB devices is a very necessary segment of it. However, it is not enough. You also have to concern about the complete protection that covers all your family members, household, home office and mobile devices. ESET provides a convenient, quality and easy-to-use security solution and packages for Windows, Mac, Android, and Linux. Fast-running security software by ESET will not have any negative impact on your devices’ or system performances and you will not even notice it is there. ESET product lines offer features including anti-theft systems, parental Web controls, and many more. ^ ESET antivirus application to secure your USB drive . ESET. 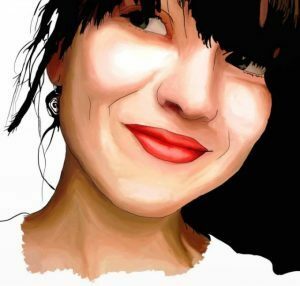 This entry was posted on 2018-01-09 at 08:07 and is filed under News.